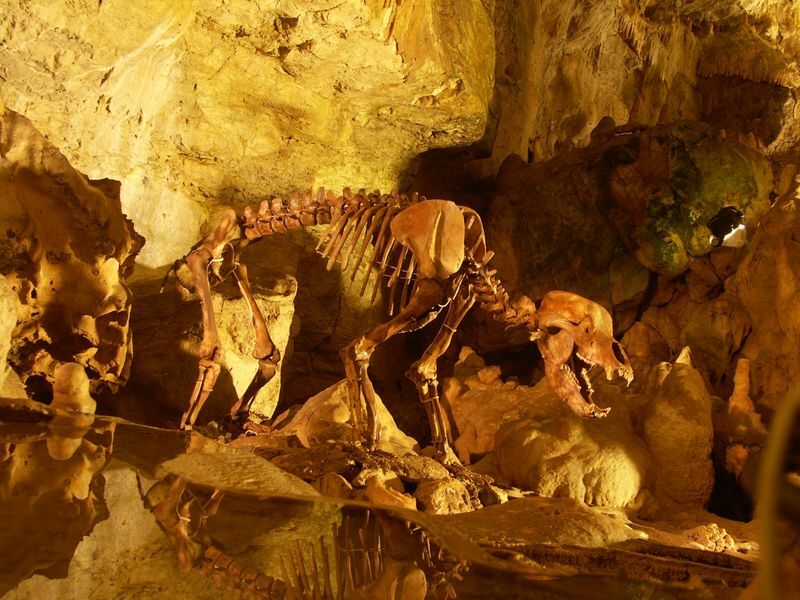 Already 20,000 years ago the Bear cave in Sonnenbühl-Erpfingen was inhabited, whereof bone findings of rhinos, cave lions and bears evidence. 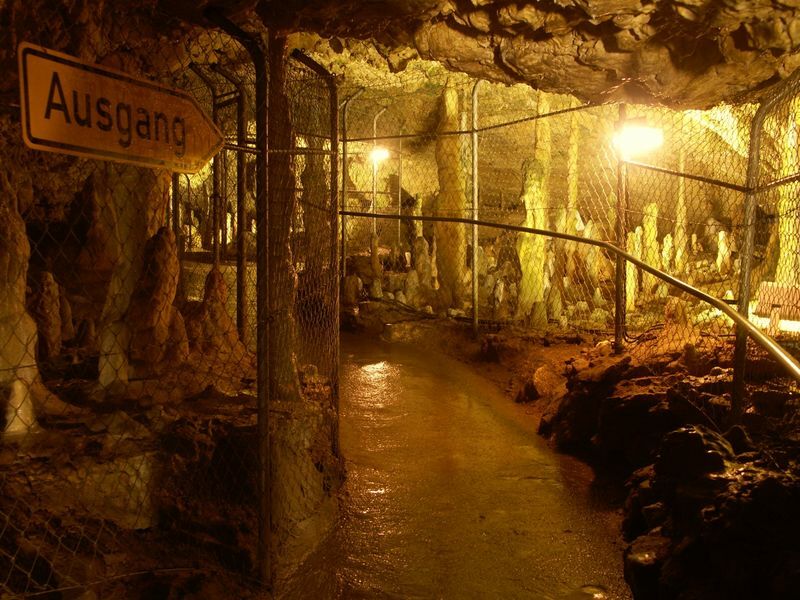 The Bear cave in Sonnenbühl-Erpfingen and the Fog cave in Sonnenbühl-Genkingen lead to the world of stalagmites and stalactites, and of cave bears. In the function of a Geopark info centre they show visitors the fascinating realm of depth of the Swabian Alb. Already 8,000 years ago the bear cave was the home of cave men. 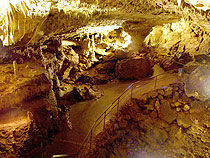 Only 50 years ago the cave was discovered and opened to visitors. 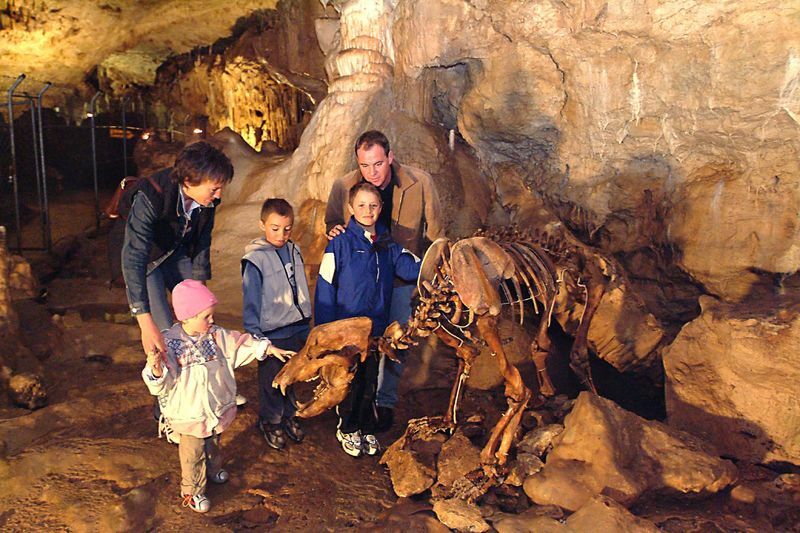 The bear cave is accessible to a length of 271 m and linked with the Karls cave discovered in 1834. 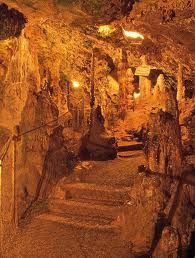 The cave opens up a various world to the visitor, a world to be seen during a guided tour. On 30 May 1834 the Erpfinger teacher named Mr. Fauth was collecting herbs. While he was moving shrubs, he observed little rocks falling into a gap. When he was following up the falling rocks with his eyes, his tobacco tin felt after and disappeared in the depth. The next day Mr. Fauth and his friends went down into the cave. On a big detritus mound, situated directly below the entrance hole, a high number of skeletons where found. Climbing across human and animal bones and across stalactites and rocks they reached the back of the cave. After the discovery people of the region came and took „souvenirs“, some even behaved barbaric and destroyed bones and well preserved skulls. During the weeks after, the cave was divested of most of its finds and of big parts of the history.